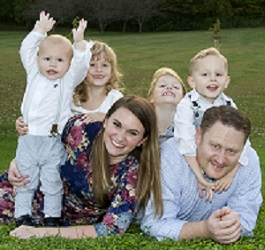 Our kids' sickness this week allowed me to appreciate the service we get to give as mothers. This week the kids have been so sick. Cheyenne was sick last Wednesday through Monday with a fever. Monday night, Delaney started a fever and was sick Tuesday and Wednesday. Thursday I had no sick kids. Thursday night Frank threw up, then was sick all day. Ephraim came down with a fever this Friday afternoon. Typically I get pretty frustrated in situations like this-- you have to cancel things, move things around, and ignore things. And this is May we're talking about, so there are way more things than normal. But something I learned a little while ago has really stuck with me and given me a better perspective. Sickness makes you slow down. Sickness helps you recognize the blessings you normally do have in your life. If you were never sick, you would never recognize the incredible blessing having a healthy body is. I loved this part of a talk by Sister Kearon. If we planned our life, we would never have problems, or they would be ones that could be easily overcome. So we missed Field Day and the Kid Triathlon and several days of school. We had to move around swimming lessons and gymnastics, Cheyenne missed seeing the butterfly coming out of its cocoon, and we didn't get to go on bike rides or play at the park or enjoy this beautiful weather that won't last long. But in some ways I think it was an answer to a prayer of mine. I have been stressed about surviving these last few weeks of school. Not the amount of activities really, but I had just realized at the beginning of May that my routine at home with the boys needed a makeover. My routine needs to have less time for me to think about myself so I could love my life more. And then I was given this past week and half-- full of sickness and downtime and lots of movies. One time Frank was sick right before bed, and he threw up all over himself and the floor. 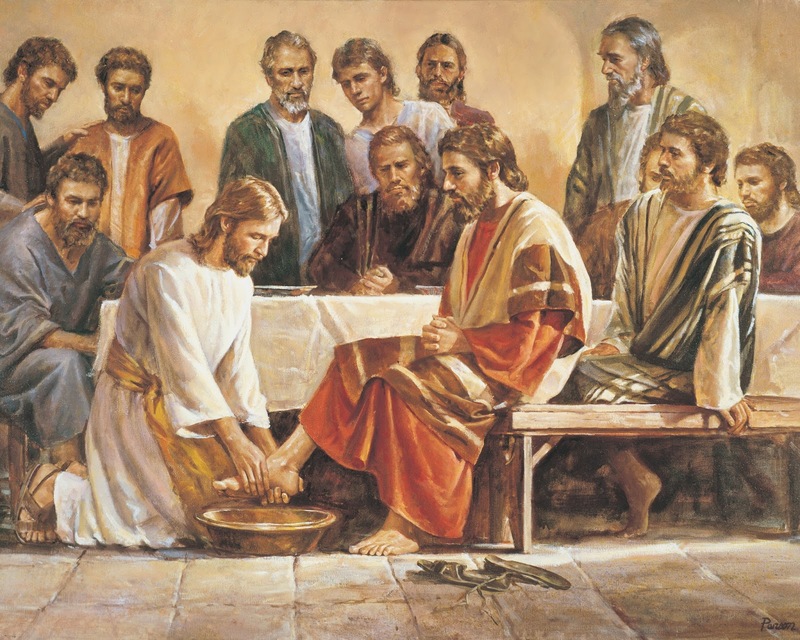 As I bent down to wash off the throw up off his feet, I had the distinct picture enter my mind of the Savior bending down to wash His apostles' feet. Tears came to my eyes as I recognized that I felt nothing but love for this sick helpless little two-year-old who needed a mother. Oh I have so much to work on-- I had one freakout on day 8, and my patience has really worn thin trying to get my girls to take their antibiotics (do you have any tips?? Please!) -- but serving in the home is such a gift. I was struck with the thought of what these kids' lives would be like if I wasn't available to take care of them. Who would watch over them while they writhe in pain in their beds? Who would be that soft familiar place to land when the fever left them weak and achey? I get to comfort those who stand in need of comfort, and mourn withthose with mourn. What a gift it is to be a mother. A small treat ( a few chocolate chips or Skittles) after the medicine is taken. A countdown chain to when the antibiotics will be finished, with a reward of a trip to the park or library when it's done. A wide, fat syringe is better than a long, skinny one. It's the same amount of medicine, but it seems like less to my kids. Good luck! These are really great!! Thank you!! Beautiful, profound thoughts, as usual.